South Texas College (STC) Theatre will hold auditions for its last show of the spring semester, A Dream Play, a surreal drama by August Strindberg. Auditions will be held Tuesday, Feb. 26 and Wednesday, Feb. 27 from 7 p.m. to 10 p.m. at the STC Cooper Center for Communication Arts - Black Box Studio, located at 3201 W. Pecan Blvd. in McAllen. All STC and Rio Grande Valley community members ages 18 and over are welcome to audition. 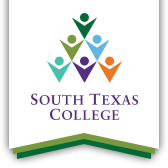 For more information, call 956-872-2639 or email jrodriguez@southtexascollege.edu or mgarza_0080@southtexascollege.edu.